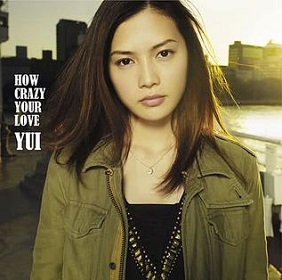 How Crazy Your Love is fifth studio album of YUI, also becoming her fifth straight album to debut at the weekly number one on weekly Orion chart, becoming the first female artist to do so since Utada Hikaru's Utada Hikaru Single Collection Vol. 2, which was released in 2010. She started her fifth major tour on November 11, 2011 to promote her recent album with cruising as its principal thematic element (November 11, 2011 – January 25, 2012). In writing the song, she decided to attempt different styles of music. She especially singled out Separation for its funky rhythm, or an attempt at thrilling the audience in Lock On. Not only trying complicated rhythms, she also recalled the simple triple used in Cooking, a rhythm which she had always wanted to try out. 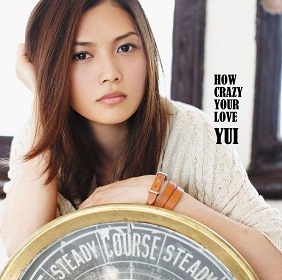 Along the same lines, YUI wanted this album to represent trying something new, and that it also represents her desire to have the freedom to make music as she desires. The album is certified Platinum for shipment of 250,000 copies. And becoming her last studio album as soloist. This album released in two version : Regular Edition with 13 songs in CD and Limited Edition with CD plus DVD featuring her YUI Hong Kong HOTEL HOLIDAYS IN THE SUN live and a documentary of her trip to Hong Kong.